Mini rail mid post bracket with centre through hole for 6mm tubular rod. Suitable for mounting on to wood furniture and shelving to provide a stylish gallery rail. 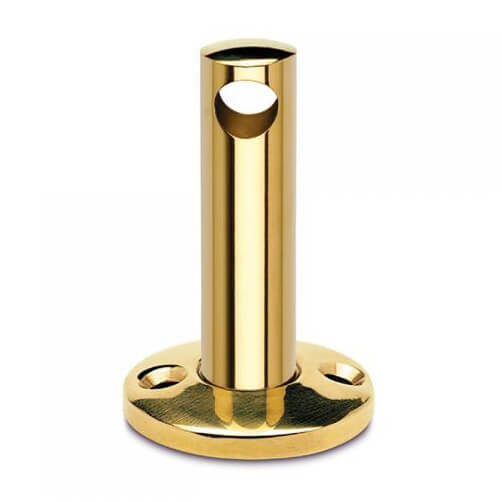 Mid post manufactured from Zamak with a PVD coating to give a hard-wearing brass finish (Not solid brass). 16mm screw fixings are supplied. Perfect for boats, caravans and motorhomes to provide a protective galley rail. The ideal finishing touch for restaurants, public houses and other commercial settings. 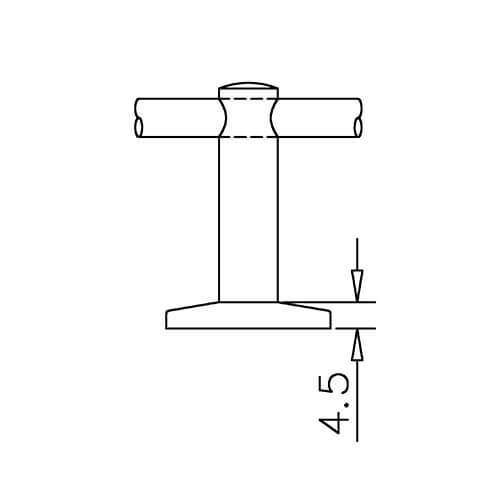 End Post Bracket for 6mm bar railing system. 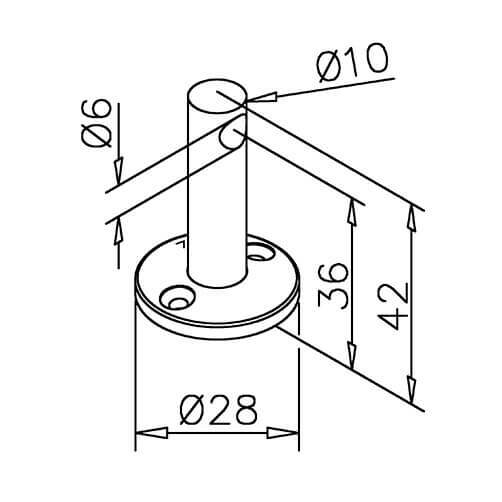 6mm Ø Rod and Bar for bar railing system. Mid Post Adapter for 6mm bar railing corners.